So I absolutely love chevron designs. Like a whollllle lot, if you couldn’t already tell given some of my previous posts like my first baby chevron quilt, my other chevron quilt, and my chevron canvases haha! I think I aimed a little high with wanting to try and create a cross stitch design like this, especially given that I don’t use a program for mine .. I simply use Excel. So, in light of this .. I turned to my trusty love of chevron designed, and I’ve now come up with a chevron design for a ‘Home Sweet Home’ cross stitch. The design is 98% finalised now, and is itching to be stitched, so I’ll be starting that when we’re back from our honeymoon (I honestly can’t say YAAAAAY enough times)! Here’s my pattern for my cross stitch. I haven’t 100% decided on the yellow border just yet, or the font colour as I’m going to pilfer around my DMC collection first. The plan is to frame this in a square white frame, as I don’t think a cross stitch hoop would work for this piece. 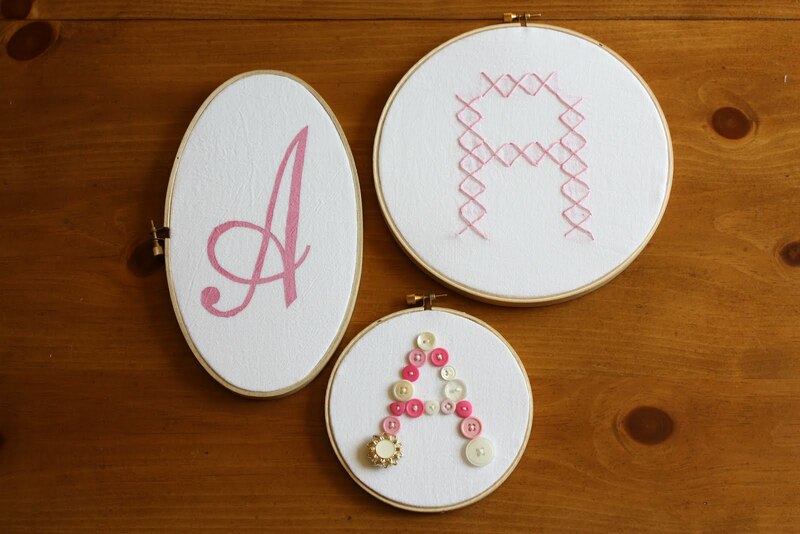 I also intend on doing some smaller, 3-6″ accompanying cross stitches in an ensemble kind of like this. How much do you LOVE that oval hoop?! I think I’ll do a small love heart, a tiny house, and a small chevron print in a different colour scheme just so my friend can either display them all together, or display the small ones in different areas of her house. I always get a bit nervy buying / making things for people houses. Their décor is obviously very specific to them, and their house, and painstakingly making something that might not work for their space is a heartbreaking though, especially when you’ve put so much time and effort into it. So on that note, I’ve done some recon work with my friends regarding colour schemes / favourite colours. I think this will work, or should I say I realllllllly hope this will work haha! One day I hope to be clever enough to create a pattern like the print I put up before, but for now, I’m going to work to my small small pattern strength, and stick with something I know. 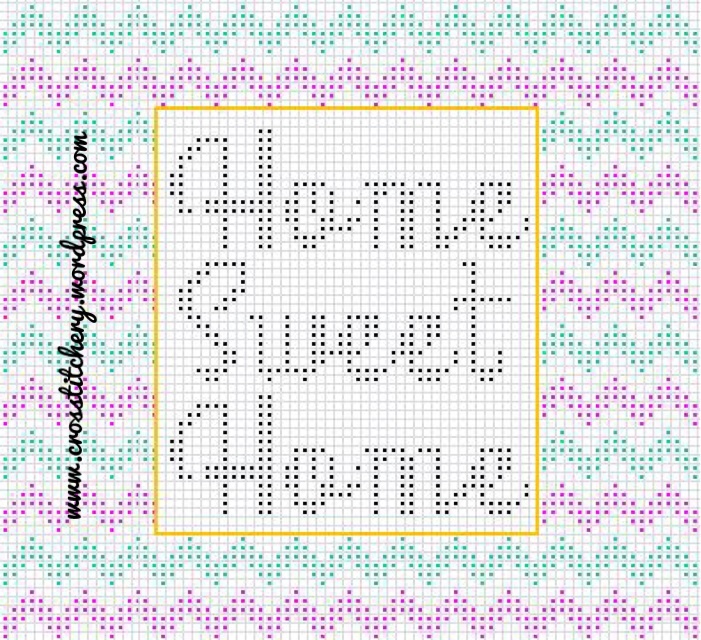 Pingback: WIP – Home Sweet Home Cross Stitch | crosstitchery.